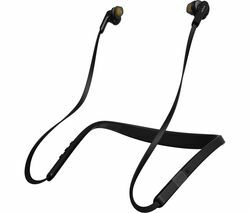 Jabra Elite 25e delivers best-in-class battery for wireless calls and music. Enjoy 18 hours of battery time, wind and water resistance, and a new design for a great fit and all-day comfort. With a dedicated voice control button, you have one-touch access to Siri and Google Now, letting you access information hands-free, on the move. And with exceptional speakers engineered for immersive audio, you'll always get the sound quality you need – whether listening to music or taking a call.